Na Chah Ke Bhi Lyrics from the upcoming movie 5 Weddings feat Nargis Fakhri & Rajkummar Rao has been sung by Vishal Mishra & Shirley Setia.The music of this lovely song is given by Vishal Mishra. 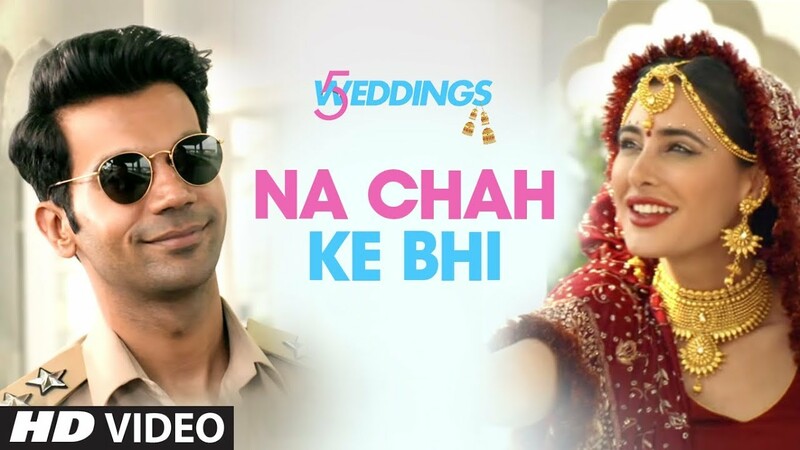 आओ तुम भी पढो न..
Na Chah Ke Bhi Lyrics from 5 Weddings feat Nargis Fakhri & Rajkummar Rao is sung by Vishal Mishra & Shirley Setia. Its music is given by Vishal Mishra lyrics are written by Abhendra Kumar Upadhyay.